“Virus companies are playing on your fears to try to sell you BS protection software for Android, RIM, and iOS," Google Open-Source Programs Manager DiBona charges. “They are charlatans and scammers. 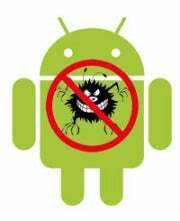 If you work for a company selling virus protection for Android, RIM, or iOS you should be ashamed of yourself." Other White Hats were less diplomatic toward Dibona. "Am I ashamed of myself?" asks Trend Micro Director of Security Research and Communication Rik Ferguson in a company blog. "Not at all. I’d prefer to offer protection against a growing threat to personal and business security than to bury my head in the sand and defend my stance with wild accusation."